With warmer weather approaching – although not soon enough if you ask me – I’m thinking of ways to look great while still protecting my skin… something sadly, I waited to do until I was in my 30’s. 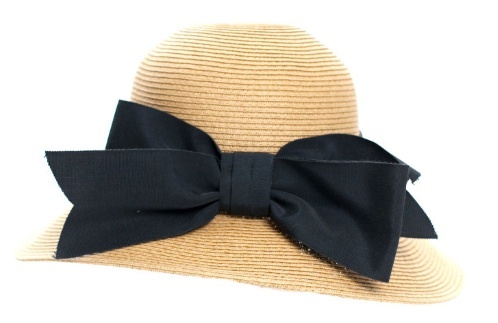 So when I ran across this totally cute sunhat with the big navy bow, I was smitten. 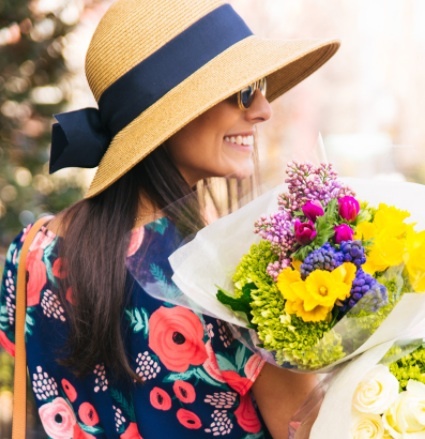 Not only is this ideal for sunny days at the park and the pool, it just so happens that it would look absolutely fabulous with my H&M striped dress daily covet from yesterday!